Not all Easter candy has to be eaten out of a plastic grass lined basket. 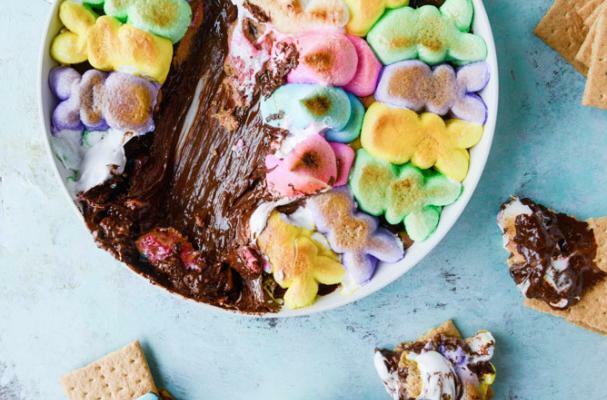 These recipes include classic Easter candies that have become transformed into party worthy dishes that will make your guests swoon. Now is the time to find the ingredients in these seasonal recipes, and you have better work fast. After Easter, many of these candies disappear until next year. Here is the perfect excuse to buy all those Peeps you wanted to buy. We love that it's sweet and chocolaty and oh-so-creative. Good times! Aren't these cute? 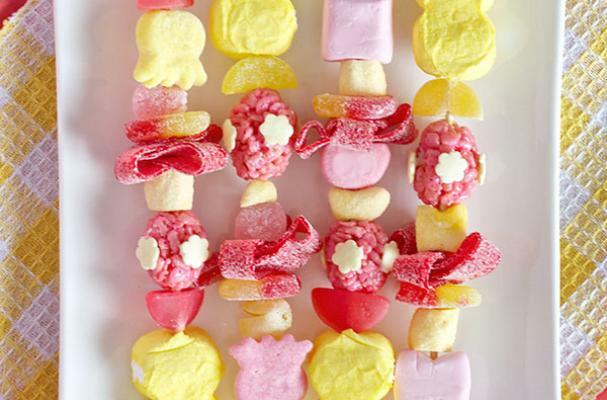 Place Easter themed candies together on kebab sticks are an easy way to celebrate. We love the combination of sour and sweet candies. Delicious and creative. A luscious and very creative treat from the seasonal Cadbury Creme Egg. 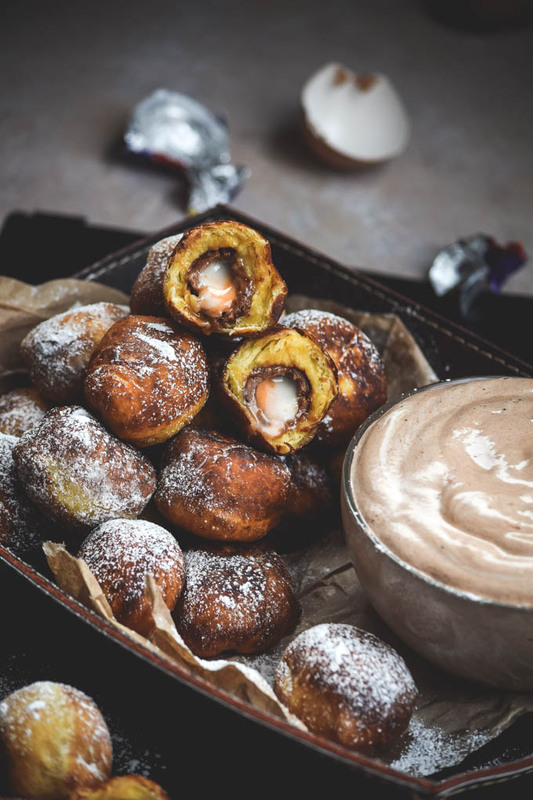 One is nestled inside of a fluffy fried donut hole. It's the perfect combination of melty and sweet.